Car registrations are down 5.7% year on year according to ‘SMMT’ Society of Motor Manufacturers and Traders. SMMT also project a dip in new car registrations in quarter one 2018. The current economic landscape, has influenced the pricing of new cars due to the pound to euro exchange rate and car manufacturers have had to raise the price point on new cars. As new car sales decline more dealerships and garages are looking to aftersales to increase profits in the business and generate more leads. If Q1 new car sales dip as projected and new car sales take a tumble, then this would suggest that car owners are keeping their current vehicles for longer. New research supports this and suggests that on average car owners keep their vehicles for 6 years up from 4 years since the last recession. With the increase in the customer change cycle coupled with the projected dip in new car sales, car owners will subsequently be keeping their vehicle and maintaining the vehicle they have. In turn, the demand for regular servicing and maintenance work will increase, further proving that dealerships and garages need to pay close attention to their aftersales strategy in 2018. Looking at online search volume it is evident when comparing Jan 2017 to Jan 2018 that used car search is aligned with new car search volume, where in previous years the new car search in January has always surpassed used car volume. What is even more interesting is when you look at new car, used car and MoT searches it is evident the difference in volume in aftersales services. Search volume for aftersales services such as MoT and brakes have long surpassed new and used car search volume. This further evidence aftersales should play a significant role in dealers and garages 2018 strategy. Group Managing Director of Arnold Clark Eddie Hawthorne has also discussed plans for 2018 in a recent video. Eddie discussed how the automotive sector has been hit with political and economic situations outside of their control which has, in turn, affected new car prices and new car sales. Eddie has instead turned to what Arnold Clark can control, which is used car sales and aftersales. Improving their aftersales service with more competitive offers and servicing deals, Eddie stated: “we can sell more used cars and service more cars and at the end of 2018 everyone can have a pay rise”. Vertu Motors also have similar plans and are seeing great results so far with projections to continue growth plans, this has all come from extending aftersales service plans and used car sales to improve profits. Aftersales is now more important than ever, by enhancing servicing offers and improving the customer experience, customers will return through repeat business and recommend to friends and family. Not forgetting that aftersales customers provide the opportunity to convert into sales opportunities through good service, a fair offer and trust. Having excellent customer service is the formula for success for dealership survival in difficult economic periods and when pushing aftersales services garages will also have the benefit of knowing the customer change cycle information. Having a joined strategy of sales and aftersales to acquire new customers can make a massive difference to the success of the dealership or garage. MyCarNeedsA.com is the aftersales solution that generates aftersales opportunities for your workshop. MyCarNeedsA.com is the comparison website that customers use for all their car aftercare needs for both car repair and maintenance. MyCarNeedsA.com have over 4,000 garages and workshop partners nationwide, there is a balanced mix of fast fit chains, large dealerships, manufacturers and independent garages, all garages are put through a moderation process and only authorised repairers can quote on the jobs. MyCarNeedsA.com can improve the volume of opportunities and the quality of the work that is booked into your workshop. 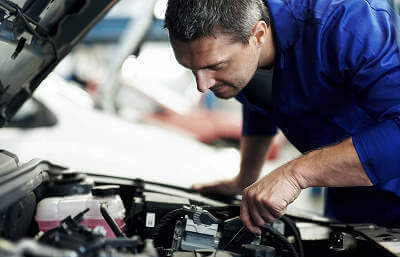 Over 85% of the jobs accepted and booked by customers on MyCarNeedsA.com website is ‘Grade A’ profitable work including brakes, MoT, servicing , timing belt, clutch and air conditioning work. 22% of the jobs accepted and carried out by garages are brakes jobs alone and 24% are servicing jobs, so a total of 46% of jobs are servicing and brakes alone. In terms of jobs offered to garages to quote on 20% are brakes jobs and 22% of jobs offered are servicing. At MyCarNeedsA.com we focus on ‘Grade A’ work and delivering the best quality of work our dealer network. MyCarNeedsA.com research suggests that 40% of customers who use the site choose their quote online based on location, reviews and service standards etc rather than price. So, in practice customers are considering all aspects of their quotes not just picking the cheapest option. Take for example our average job values of MyCarNeedsA.com displayed in the graphic below. The average job accepted value of a car service is £127.67, average timing belt job is £400.84 and average clutch job accepted is £428.26. MyCarNeedsA.com encourage garages to use their normal pricing strategy and focus on the bigger picture of customer service, trust and offering a fair price. Check out our trade sign up page above. For more information about signing up to MyCarNeedsA.com check out our trade sign up information page or call 028 3833 8091 to get in touch with our sales team to discuss how we can deliver more ‘Grade A’ jobs to your workshop. You can see the jobs instantly and get quoting on the jobs that are the perfect fit for your business.